The color white is often used to describe what is holy, and is often used to describe Christ. He has been described as clothed in white linen and His hair is as white as snow. 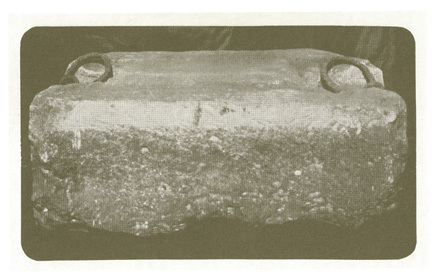 Christ gives John a white stone in Revelation. White is also used to describe the garments of those that overcome through their faith, and join His Cavalry. Christ is further described as a diamond, a stone able to grind all others to dust. Christ is the King of Israel; and He was the only one of the four Horsemen given a crown. 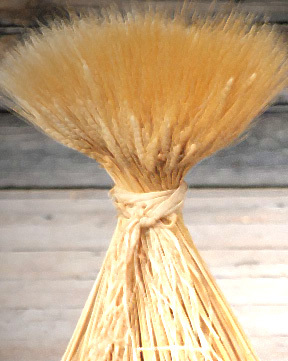 The bow identifies Him with the British, and their historically famous bowmen. It also identifies Him with the line of Joseph. A bow is a sign of strength; and was considered a powerful weapon. Interestingly, BOWING to the [I AM] and to Christ is also a sign of strength, because it demonstrates your spirit’s control over your human-side. Submitting to the [I AM] shows the strength of your soul and its connection to your Maker. God also used a rainbow after the flood as a sign of His everlasting covenant with man and earth. And of course, the rainbow is made up of many colors that when combined, turn into White Light. Each tribe of Israel was given a stone as its emblem with a specific color of which Aaron wore one on his breastplate, which is essentially a breastplate of many colors/emblems (12), similar to Joseph’s coat of many (12) colors/emblems/tribal-standards/banners. Again, “From there is the Shepherd, The Corner Stone of Israel” means Christ is British. Scripture prophesies Christ (The Branch) would come again through Joseph’s line, or bough. Interestingly, the British crown is made up of the stones of many colors, representing the tribes of Israel. 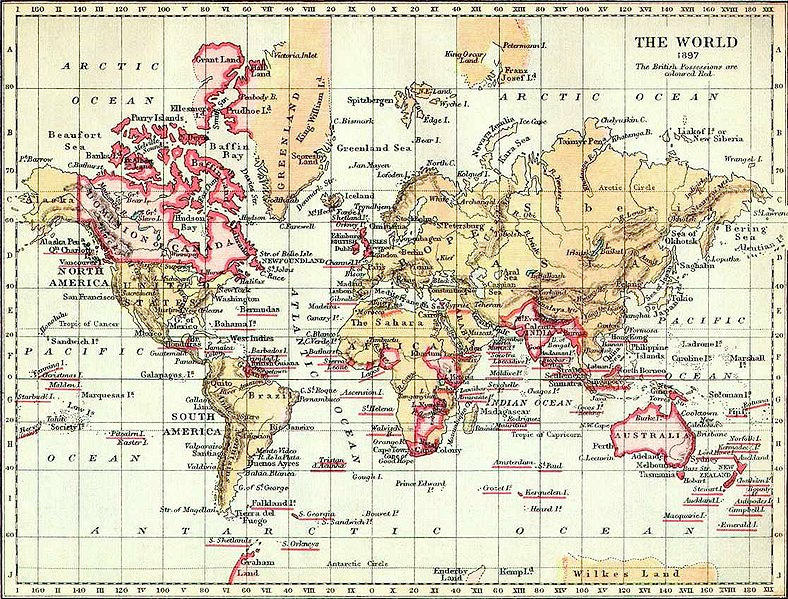 World history tells us that the British were given an Empire that conquered the world, spreading God’s Word around the globe. This went on for a time, times and a half, ending in 1917. And Joseph’s line includes both Ephraim (Britain) and Manasseh (United States) (Gen. 48:16); however Ephraim was given the BIRTHRIGHT. 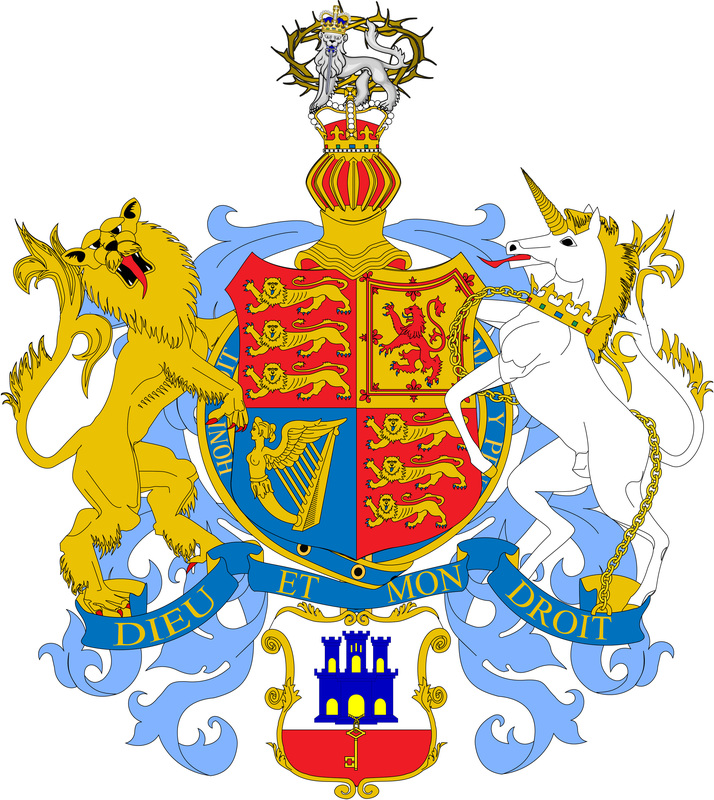 “Dieu et Mon Droit” is the motto on the British Coat-of-Arms, which is there for a reason, because the British Throne belongs to Christ – it means “God and My Birthright.” When the British (Hebrew for “People of the Covenant”) were witnessing for God, and bowing to Him, they were protected from their enemies. Literally, Christ’s White Cavalry came to the British and Allies’ rescue in 1914, in Mons, France. They showed up again in 1918 at the Battle of Bethune. These would be described as supernatural or spiritual events, but people forget how awesome God and the Holy Angels can be – or they just don’t believe anymore. It is the doom of men – that they forget. The White Horseman is further described in Revelation as Christ. “And I saw heaven opened, and behold a white horse; and he that sat upon him [was] called Faithful and True, and in righteousness he doth judge and make war. His eyes [were] as a flame of fire, and on his head [were] many crowns; and he had a NAME written, that NO man knew, but HE himself. And he [was] clothed with a vesture dipped in blood: and his name is called The Word of God. And the armies [which were] in heaven followed him upon white horses, clothed in fine linen, white and clean. And out of his mouth goeth a sharp sword, that with it he should smite the nations: and he shall rule them with a rod of iron: and he treadeth the winepress of the fierceness and wrath of Almighty God. And he hath on [his] vesture and on his thigh a name written, KING OF KINGS, AND LORD OF LORDS (Rev. 19:11-16).” Could the White Cavalry mentioned in these scriptures be the same that showed up in the early 1900s to help the British Allies? Maybe on one level it was, but there’s another battle coming, because Christ is setting the variance that will eventually divide the sheep from the goats. The unsealing of the Book is spoken of by Daniel, and also by John in Revelation. This unsealing was to happen in the End Times – when the Word was to be fully understood and the prophecies revealed, “But in the days of the voice of the seventh angel, when he shall begin to sound, the mystery of God should be finished, as He hath declared to His servants the Prophets (Rev. 10:7).” Scripture tells us that it is the Lamb of God who unseals the Book; and it’s the Lamb of God who sits on the White Horse and who is True and Righteous. The seventh angel, whom John speaks of, has a little book; and it is this book that reveals the mystery of God. “And I went unto the angel, and said unto him, Give me the little book. And he said unto me, Take [it], and eat it up; and it shall make thy belly bitter, but it shall be in thy mouth as sweet as honey (Rev. 10:9).” The Prophets are always instructed to write and publish, thus a little book in the End Times would be quite appropriate to reach the masses around the world, especially with the use of the Net to cast into the sea of people surfing it. Jesus said, “Again, the Kingdom of heaven is like unto a net, that was cast into the sea, and gathered of every kind (Matt. 13:47).” This puts a whole new meaning to being a disciplined fisherman. If you read this little book, you will tremble, because you will know this is it and you have so little time to make amends with your Creator, the “I AM”, the Maker of Heaven and Earth, the Alpha and Omega. You will also rejoice, because the “I AM” is the “I AM” and keeps His promises. Finding the meaning to your existence here is also a revelation and relief. Realize you are a soul or spirit, before you were clothed in a body with a gender. You must look at yourself as spirit, not as a gender; however, the gender of your body plays an important role into what your spirit has to learn. 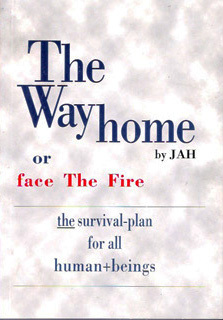 For a more complete understanding, read the little book, which is entitled The Way home or face The Fire, at thewayhomeorfacethefire.net. Its title is self-explanatory. Being a little book of 100 pages, it’s an easy read and is free electronically. Christ sounded His voice when He published it in 1986. Part of you may be saying “this can’t be”, because you’ve convinced yourself the second coming would not happen in your lifetime; but since the beginning of the world, and as explained in the Book of Enoch, it was going to happen in one of your lifetimes. When reading it, if you are able to sense an attunement, the book was meant for you; but if you can’t get past the fourth chapter, you’re a little more thick-headed than you know or will admit. 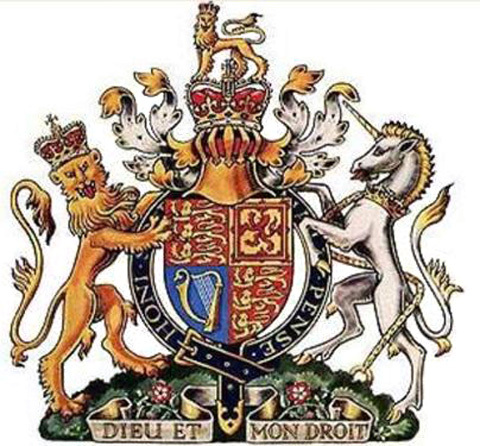 Christ coming through Joseph’s line is further seen in Scripture and on the British Coat-of-Arms. In Deuteronomy, God tells us about Joseph’s line: “His glory [is like] the firstling of his bullock, and his horns [are like] the horns of Unicorns: with them he shall push the people together to the ends of the earth: and they [are] the ten thousands of Ephraim, and they [are] the thousands of Manasseh (Deut. 33:17).” While Manasseh did not receive the birthright, he was blessed, and, along with his brother Ephraim, was given the name Israel. His descendants became the United States, which is evident on its own heraldry, which features 13 arrows (from bowmen), which connects them to their Englo-Saxon heritage; and for the most part, they are considered the 13th Tribe of Israel, of which 13 is a reoccurring symbol associated with the U.S. In Scripture, the Lord is often depicted with ten thousand of His holy warriors. It makes sense that Satan would want to make war FOR them – to try to kill them off. Thus, the British and Americans are the real targets in this never-ending war story of terror, orchestrated by the Synagogue of Satan, aka the New World Order. Unfortunately, and with a satanic twist, the British and Americans are the New World Order, because there is spiritual wickedness in their high places (and hidden ones) calling all the shots (Eph. 6:12). Instead of a blessing to mankind, as God intended, they have become a curse. The United States isn’t a free democracy much less a nation Under God: it’s a reinvention of the old Roman Empire laced with Egyptian occultism, which could also describe Hitler and his crew. Thus, Israel’s affliction is being ALLOWED to happen as punishment for straying from God. But in their affliction, they may turn to Him early, as scripture states. And no matter what campaign-promises are spewed-out, the affliction will keep getting worse, not better, until God’s people turn back to Him. The unicorn brought up in the above Scripture becomes a symbol of Joseph’s line with Christ being THE UNICORN. This symbol developed from Standards, or banners, from the original tribes. Ephraim’s Standard was an engel, or wild ox; and it is the Ox that developed the horn, of which horn is the Biblical code-word for kingdom. And while Manasseh would become America The Great nation, the British Empire would always be greater, just as Jacob/Israel foretold when explaining why he laid his right hand on Ephraim, the younger of Joseph’s sons, “And his father refused, and said, I know [it], my son, I know [it]: he also shall become a people, and he also shall be great: but truly his younger brother shall be greater than he, and his seed shall become a multitude (Commonwealth) of nations (Gen. 48:19).” Interestingly, Manasseh means “making forgetful” and Ephraim means “fruitful”, which also takes us back to Joseph’s fruitful bough that brings forth The Branch/Christ. Where else is unicorn mentioned in the Bible? In the Psalms, David sings of the unicorn concerning Jesus’ crucifixion; “Save me from the lion’s mouth: for Thou hast heard me from the horns of the unicorns (Psalms 22:21).” And David sings of the unicorn concerning Christ’s Kingdom in Psalms 92:10, “But my horn shalt Thou exalt like [the horn of] an unicorn: I shall be anointed with fresh oil.” Christ is the Anointed One; and the Spirit of the [“I AM”] is upon Him, and this verse is about His conquering His enemies. David means Well-Beloved; and many times refers to Christ Himself, just as many of the Psalms are Christ speaking through and inspiring David’s songs. 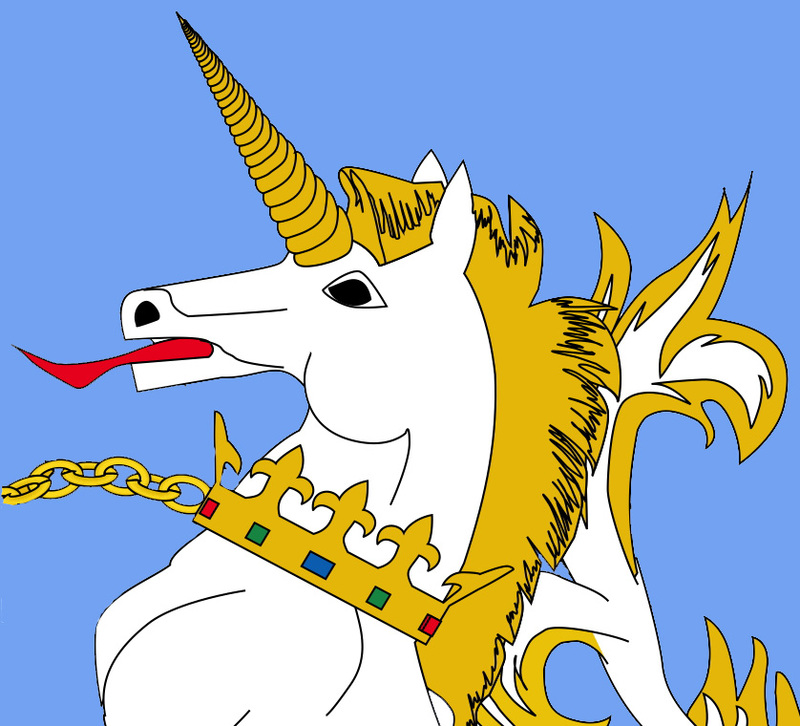 The symbol of the unicorn is associated with God in the Book of Numbers concerning all of Israel, when God inspired Moses to lead them out of Egyptian slavery, “God brought them out of Egypt; He hath as it were the strength of an unicorn (Numbers 23:22).” He had the strength of a united kingdom. But today, that united kingdom has been dismantled with the evil tactics of division and infiltration, like political parties, have and have-nots, immigration reforms, and power-placed individuals on a sinister mission to put in place what they falsely believe is possible. “God brought him forth out of Egypt; he hath as it were the strength of an unicorn: he shall eat up the nations his enemies, and shall break their bones, and pierce [them] through with his arrows. He couched, he lay down as a lion, and as a great lion: who shall stir him up? Blessed [is] he that blesseth thee, and cursed [is] he that curseth thee. (Numbers 24:8-9).” History will repeat itself and Israel will rise again. But since history repeats itself, and Israel continues to stray and disobey, she will be punished severely for the third and final time. Remember, it was always the kings, pharaohs and priesthoods who led the masses astray, because their greedy lusts of possession, power and praise brought everyone in their nations down. We certainly see this in our world leaders today. Fortunately, the Holy Land will be returned to the small remnant of Israel who are left after the wars and Armageddon. We will eventually return in peace. 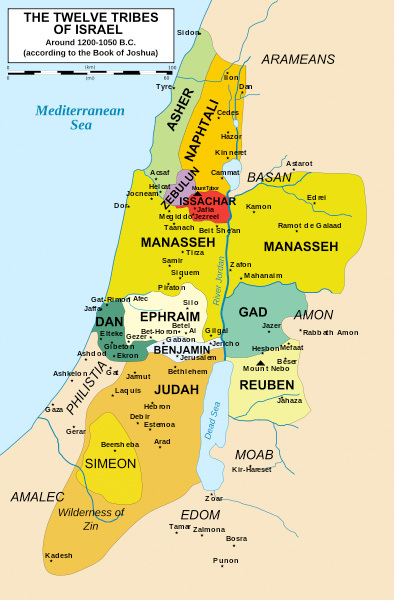 In fact, the Golan actually falls into the land originally given to Manasseh. This should put a new meaning on who really owns the war-torn areas. Well, actually God and Christ own them, just like They really own the world – we are just the inhabitants, who have mis-deeded it. Don’t tell this to the converts in Tel Aviv who say, “Mine, mine, mine, bomb EVERYONE else”, because they are the ones who think they own the deed in the first place. Read the Book of Obadiah, which is all about them today. As far as the Arabs in the Holy Land go, the Bible prophecies of Ishmael’s tribe, “And he will be a wild man; his hand [will be] against every man, and every man’s hand against him; and he shall dwell to the East of all his brethren (Gen. 16:12).” Ishmael’s descendants populated the Middle East; and they became a great nation as God promised Abraham; “And as for Ishmael, I have heard thee: Behold, I have blessed him, and will make him fruitful, and will multiply him exceedingly; twelve princes shall he beget, and I will make him a great nation (Gen. 17:20).” But God established the Covenant with Isaac, who became the Engel-o Saxons and Anglo-Saxons – [I]Saac’s sons. For the spiritual guidance of Ishmael’s descendants, God gave the Koran to Mohammed (PBUH) through Gabriel, to guide them in The Way. Again, the Bible and Koran are in sync; UNLIKE the Talmud, Hadiths, and Catechisms which are just hypotheses of men, pushing their own traditions. In this world, all hate and division is inspired by Satan/Lucifer. “The Devil made me do it” is a common phrase, but it is so true. And if the Devil (Satan/Lucifer) is making us disobey God’s Law and destroy each other, why are we still acting on his insane ideas? We are completely responsible for doing so. It’s one thing to hear Satan in one’s head all the time, but it’s entirely another to act on what he tells us is real, or to do. Satan will sit with you and rehearse all the things to regurgitate to someone else – no doubt to cause division or to put you in a one-up position. And sometimes, you just have to say, “Whatever Satan, I’m not saying a word of this, or doing any of that. Get thee behind me.” And to really get his goat, quote scripture or read the Bible until you are again in tune with God; and for some this is a very real phenomenon, and confirmation. If God sees and knows you are actively seeking Him, He will help you – talk with Him, in private, as Jesus taught. Satan will always cower away when you are attuned with God, because that’s what he is – a coward and bully, full of sneakiness and deceit– just like his adopted children are – and they are dropping bruised, sour apples that are poisoned and have put us TO SLEEP. And our beauty will not return until a Prince on a White Horse wakes us. Israel slumbers as her Prince fights the Red Dragon. The queen can look in the mirror and admire herself all she wants – eventually that mirror is going to crack. The Devil lured Israel again into abomination; and she is a harlot and has committed whoredom and adultery against the “I AM”. The Devil is making Britain and the United States destroy the world and bring the world’s hatred and God’s Judgment on themselves; and sure the Fake-State of Israel (or the Fig Tree, Matt. 24:32) is fueling it, as well as hubs like the CITY OF DRAGONS-London, the Golden Mystery-Rome; and in the Big Apple on the wall of untempered mortar (United Nations). One of the messages in The Harbinger is to stop being defiant – man is NOT above his Maker; yet we can see how all those running amok in these hubs (Satanic Cells) think exactly that. And all of them WILL BE abased. While The Harbinger highlights Isaiah 9:10; it is all of Isaiah that one must study in great detail. Israel keeps repeating the same mistakes, including ignoring all warnings – and she will never be able to say she wasn’t told. Even the curse of droughts are warnings; but we only record them as statistics. The unicorns (kingdoms) come down with them – with the figs (Fake State), because they are all linked together as cells of a beehive; but we tend to call them the NWO. Every time God’s enemy thinks he has trodden down God’s people to the point they ask, “who can defend them now! ?”; and these same enemies wax great and become ever so arrogant, God steps in and turns them to stubble. This will happen again, and for the LAST time. Israel is going to have to call upon His Name. This means the British, Americans, Canadians, South Africans, Australians and more will continue to be trodden down until they think no one can save them but God; and His army of Angels. It’s going to come to this, because it’s the only way true Israel will wake up. Thus, this continued war, which is going to get worse and end with the kings of the East (Russia, China and their allies) destroying them, just like Nebuchadnezzar did to Jerusalem. The Infiltrated Red West has grown far too arrogant and believes “who can stop us now?”, but God has a plan for that – it’s all written in Scripture. 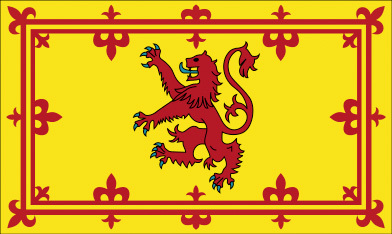 Judah Zarah’s Red Lion Symbol on the Scottish Standard. Scripture also tells us that Judah’s descendants would become the kings of the world; “Judah, thou [art he] whom thy brethren shall praise: thy hand [shall be] in the neck of thine enemies; thy father’s children shall bow down before thee. Judah [is] a lion’s whelp: from the prey, my son, thou art gone up: he stooped down, he couched as a lion, and as an old lion; who shall rouse him up? (Gen. 49:8-9).” The monarchs of the world are descendants from Judah’s sons Pharez and Zarah (whose emblems are respectively the gold and red lions). King David was a descendant of Pharez and represents the British Throne, of whom Elizabeth is a descendant. Who will rouse him up? Well, the next verse tells us, “The sceptre shall not depart from Judah [to Joseph], nor a law-giver from between his feet, UNTIL Shiloh comes [from Joseph-Ephraim v 22-24]; and unto him [shall] the gathering of the people [be] (Gen. 49:10).” Christ is above all other lions, just as the original Coat-of-Arms features the Lion standing above the top crown. He is also THE LION, as His first coming was through Judah’s line. You don’t really see this Lion featured on today’s Arms, and is proof of their continued defiance, as is their adopted Dragon symbol in their city-capital which guards it. 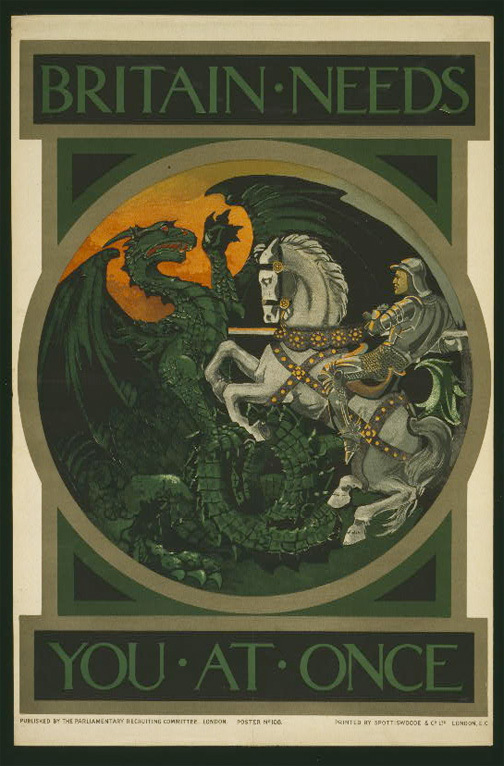 Remember, it is Saint George who kills the dragon; and legend aside, Saint George most likely means Archangel Michael. 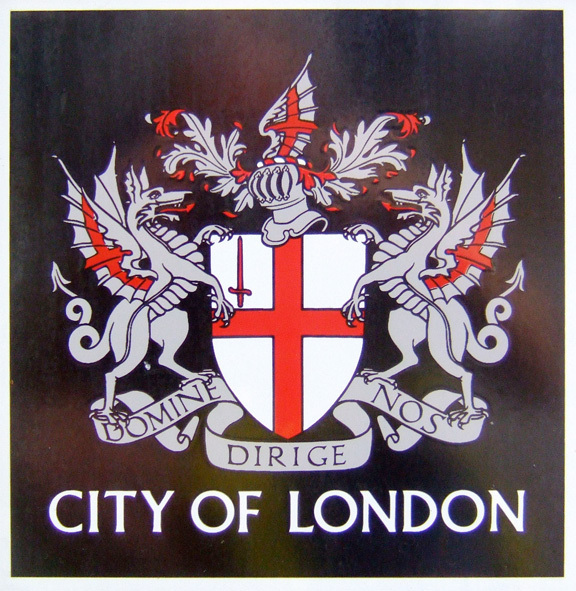 A detailed analysis of the British Coat-of-Arms and its relation to Christ is sourced below. Ezekiel continues to prophesy about Christ obtaining His Throne – the Throne of David: “And thou, profane wicked prince of Israel, whose day is come, when inequity [shall have] an end, thus saith the Lord “I AM”; Remove the diadem (sovereignty), and take off the crown: this [shall] not [be] the same: exalt [him that is] low (Line of Zarah), and abase [him that is] high (Line of Pharez). I will overturn, overturn, overturn, it: and it shall be no [more], [overturned] UNTIL he come whose Right it is; and I will give it [him – Shiloh (Gen. 49:10)] (Ezek. 21:25-27).” Of course, the current prince is actually a queen, but interestingly, the last and final overturn began with her dad, George, in 1950; and he knew what the taking of Jacob’s Pillar Stone meant, when the Scottish nationalists (Scots/Zarah’s line) took the Stone of Destiny that all British (Pharez) monarchs were crowned seated upon. Elizabeth was not crowned upon it, but on a fake-replica. Enoch 50:4: In those days the mountains shall skip like rams, and the hills shall leap like young lambs satisfied with milk; and all the righteous shall become angels in heaven [again] (Enoch 50:3-4), “ just like David sang in Psalm 114.